Long thought of as a relatively harmless drug, marijuana is increasingly becoming more culturally and legally acceptable. Marijuana, however, is potentially habit forming, especially for frequent or daily heavy users. People may use marijuana casually and never experience any problems, but some will come to depend on it to relax, to alleviate boredom, or for easing anxiety without therapy. They may even experience physical withdrawal symptoms if they stop using. I have already identified “red flags” indicating problematic drug and alcohol use in a previous blog. There are a few more, specifically for marijuana: if you “wake and bake” before work or school, feel the need to use before or during social or family functions when others are not using, or have ever resorted to smoking the black sticky resin scraped from a glass pipe or bong stem when weed is not readily available, then it is probably time to explore your relationship with marijuana, preferably with some professional help from a psychologist, therapist, or Certified Alcohol and Drug Counselor. Marijuana is unique among drugs in that it causes minimal physical harm to users. Perhaps the most profound effect is a lack of motivation and stifled ambition. As a mentor once told me, “Pot makes doing nothing seem okay.” However, the signs of marijuana intoxication are fairly obvious. I know there are more than a few users out there who are floating through life, believing nobody notices any of the telltale signs of marijuana intoxication: lethargy, difficulty with word recall, poor recent memory, and red/sleepy eyes. In reality, most people are well aware of the sight and smell of a habitual pot smoker. Quitting marijuana is not easy. 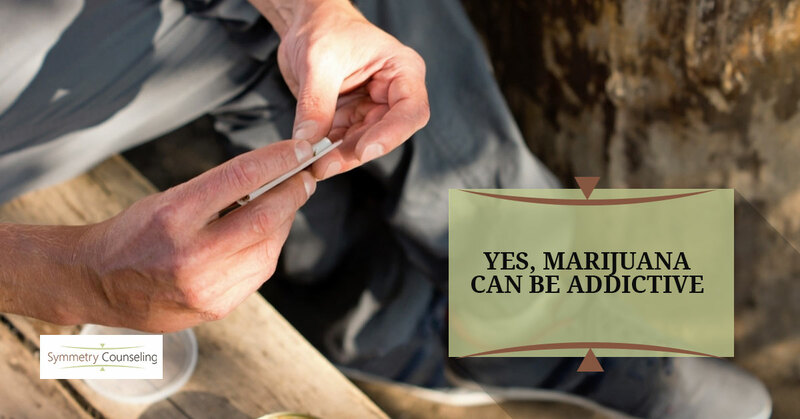 Marijuana is more potent today than it ever has been, but frequent users can still develop a high tolerance to it, requiring more of the drug to experience the desired effects. Marijuana Withdrawal is not life threatening, like withdrawing from alcohol or opioids, nor are the mood swings as pronounced as those associated with withdrawal from cocaine, nicotine, or caffeine, but it is still unpleasant, prolonged, and difficult to overcome without help from a counselor. For those having difficulty quitting, I recommend Marijuana Anonymous. Since it is focused solely on marijuana addiction, its members tend not to feel marginalized like they might at a Narcotics Anonymous meeting. Also, many problematic marijuana users find the behavior changing focus of SMART Recovery to be helpful as they struggle to work past urges and lapses on the way to achieving abstinence. Either or both of these are excellent support resources for people wanting to quit using marijuana. Withdrawal symptoms from any substance produce the opposite of the desired effects of the drug, and it is no different for cannabis. Using marijuana produces a sense of novelty in seemingly mundane activities, like playing video games, watching cartoons, or staring at blacklight posters. It can also enhance the novelty of special events such as seeing a favorite band in concert or embarking on a road trip. When experiencing withdrawal, suddenly the video games, cartoons, blacklight posters, or even the concert no longer seem special. This leads to boredom, poor concentration, and restlessness (other physical and emotional symptoms include depression, anxiety, mood swings, loss of appetite, stomach ache, headache, and sweating). Withdrawal will also likely lead to insomnia and/or unusually vivid and potentially disturbing dreams. The good news is that this does not last forever, but it certainly seems that way when experiencing it (withdrawal symptoms can last several weeks or up to a month or more after quitting). If you are concerned about your marijuana use or how to navigate withdrawal after quitting, I encourage you to contact me to set an appointment with a therapist or Certified Alcohol and Drug Counselor through Symmetry Counseling.